We are opening our third restaurant in SAWMILL this fall and searching for talented people to help us! LOCATION: Fairfield Inn and Suites by Marriott at 7150 Sawmill Road, Columbus, OH 43235. It is right off of Sawmill Road and 270, located behind the IHOP. innovative dishes made from scratch with the best ingredients. Have fun. We like working together and for the good of our guests. We find ways to help because we enjoy making others happy. Take pride in serving delicious food that’s made fresh in-house. It makes for a sweet guest experience and our customers love it! Just check out our Yelp rating. Gain access to professional training and growth opportunity. 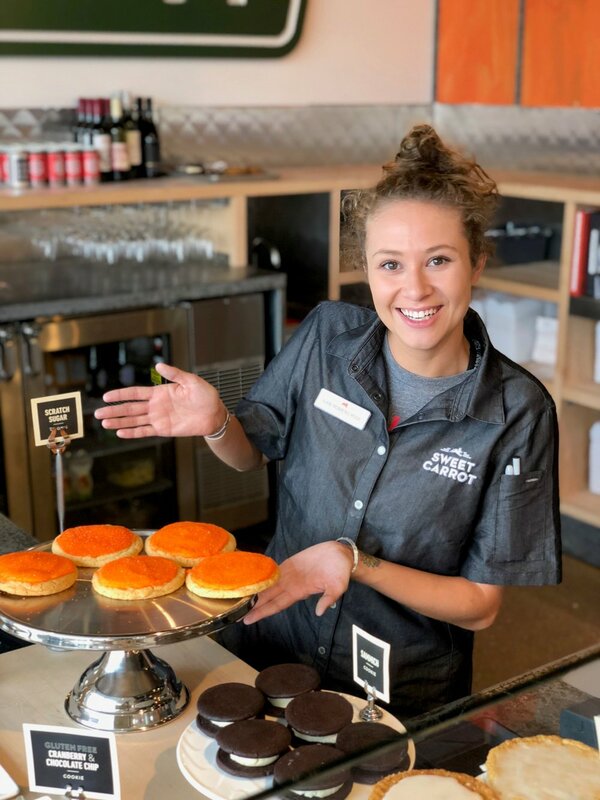 We invest in our crew members and want you to build skills that help you in life, at Sweet Carrot and even at your next job. Work at a famous restaurant! Sweet Carrot was featured on Food Network’s Diners, Drive-Ins and Dives with Guy Fieri. Please complete the following application to the best of your ability. Fields with an asterisks (*) are required fields. Approximately how many hours do you want to work per week?